Address: Paseo Marítimo, s/n, Costa Teguise (Lanzarote), Islas Canarias. 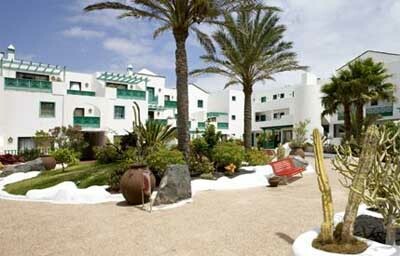 Set 150 metres from Las Cucharas Beach, Barceló Teguise Beach – Adults Only is located in Costa Teguise. This adults-only hotel features free WiFi, a buffet restaurant, and wellness centre. Each air-conditioned room in this hotel has a flat-screen TV with satellite channels, tea and coffee making facilities, safe for hire, and minibar with a charge, plus a balcony with outdoor furniture. The private bathroom includes free toiletries, a hairdryer and shower, and some come with a spa bath. The property offers a large outdoor pool surrounded by palm trees and Balinese beds, plus a bar. There is also a free-to-use fitness centre, and a massage service available for an extra charge. The wellness centre includes sensations showers, Turkish bath and sauna. You can practise many activities in the hotel, such as windsurfing and diving. The city of Arrecife is 6 km from the Barceló Teguise Beach – Adults Only, and Lanzarote Airport is 20 minutes away by car. Guests are required to show a photo identification and credit card upon check-in. Please note that all Special Requests are subject to availability and additional charges may apply. Please note that half board rates do not include any beverages. Please note that children cannot be accommodated at the property. Please note that guests booking 10 or more rooms may be contacted by the property to make the payment within the next 72 hours to guarantee the reservation. Please note that guests must present the credit card used to make the reservation on arrival. If you are not the owner of the credit card used to make the reservation, please contact the property in advance.